Prime minister of India Narendra Modi of the Hindu nationalist BJP party in recent days has spoken at Madison Square Garden, visited the Mahatma Gandhi statue in Washington, D.C. and the Martin Luther King, Jr. Memorial with President Obama and had a private dinner at the White House. They co-signed an op-ed in the Washington Post. Available for a limited number of interviews, Arun Gandhi lived with his grandfather Mahatma Gandhi (sometimes affectionately called Gandhiji) from 1946 until his assassination in 1948. 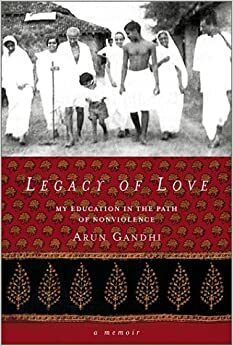 Arun Gandhi’s books include Legacy of Love: My Education in the Path of Nonviolence and the just-released children’s book Grandfather Gandhi. He has continued to be active in nonviolent movements through a number of groups. He said today: “It’s a sign of the politics of the world we now have that Modi could be denied a visa to the U.S. a few years ago and now be welcomed with distinction. I know the courts of India have cleared him of charges relating to the 2002 riots, but he must bear responsibility. The relationship that Modi and Obama are pursuing is one based, like many others, on materialism and militarism. Gandhi just wrote a piece, “Gandhi Day Message” noting his grandfather’s birthday, Oct. 2, is tomorrow: “One hundred and forty-five years ago Mohandas K. Gandhi was born in an innocuous town in Western India and no one imagined he would become an Apostle of peace, love and humanity. He was killed 66 years ago leaving the world a legacy of goodness, compassion and the way to achieve true civilization. “Instead the world decided to go in the opposite direction, the direction of materialism and militarism, both antithetical to the concept of civilization. The result is in 1914 the world was embroiled in the first World War which devastated scores of millions of lives. Now, coincidentally, in 2014 we are tottering on the brink of World War III? Gandhi added: “In terms of these monuments, they are often fueled by egos of the people building and funding them. Gandhiji and Dr. Martin Luther King did not sacrifice their lives for statues, but to help people to come out of poverty and have education to come out of ignorance. “The U.S. continues to be enthralled with the notion of being a superpower — it’s continuously bombing other countries. It’s pursuing an outdated philosophy that distorts the nature of our interconnectedness. Nationalism — whether pursued by the U.S. or India or any other country — is totally wrong. We can’t protect one corner of the world if the rest of the world is going wrong. We can see this especially clearly in the case of ecology.